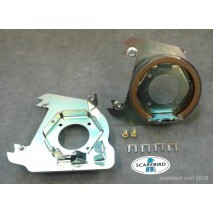 This is for a pair of drum to disc brake conversion brackets which will convert your classic to fron.. Excellent stopping power, fits inside stock rims with minor mods. Why hunt for worn out or o.. Note: Currently we will need a picture(s) of the customers axle to verify fitment. Buick ..
Why hunt for worn out or overpriced drum brakes when you can refit your 1957 Buick with new dis..
We changed the design here to make the installation easier. 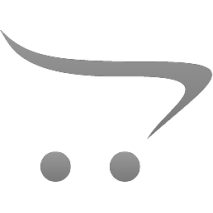 We supply a pair of custom h.. 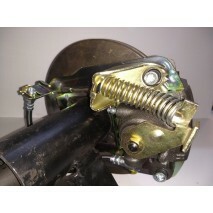 Convert your classic Y-body to front disc brake with these pair of brackets. They are CAD designed a.. These computer designed and CNC laser cut cold-rolled steel brackets are designed to mount on&n.. These will fit the GM intermediates rear using 14" or larger disc rims and some drum rims. &nb.. Note: this setup is designed to clear the OEM 14" drum rim. Some Olds rims may have trou.. 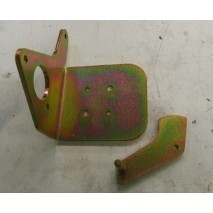 This pair of precision CNC laser-cut, cold rolled steel brackets are used to convert your rear .. These CNC laser cut brackets are designed to mount on your existing stock drum spindles with no modi.. This pair of precision CNC laser-cut, cold rolled steel brackets are made in the USA and are us..
Replaces your single iron master with a dual remote master. 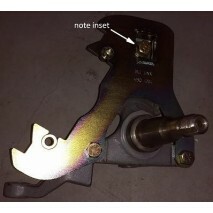 This will retain your stock brake ..